In these confused times, terms ‘left’ and ‘right’ are best defined in context. Who uses them? For what purpose? Where are they being used? Castro led a revolution that ousted a brutal Dictator. The American Mob owned Havana’s vice industry and American corporates owned the island’s Sugar industry. Castro with his revolution ousted Batista the overseer of plantations and pimp of the Cuban brothels. In 1959, hardly three months in power, the new Prime Minister of Cuba, Fidel Castro addressed a group of students and faculty members of the Woodrow Wilson School at Princeton. Castro told his audience that he was neither a theorist nor a historian or chronicler of revolutions. His knowledge on the subject of revolution was the sum total of his engagement with a revolution that took place in the island of Cuba in close proximity to the United States. He told his avid listeners – the left of center elite intellectuals gathered at Princeton that the Cuban revolution had debunked several myths propagated by the Latin American Right: that a revolution was impossible if the people were hungry, and that a revolution could never defeat a professional army equipped with modern weapons. Hannah Ardent too had been in the audience. It was Arendt’s first year at Princeton, after she became Princeton’s first woman to be awarded a professorship. In her 1964 essay ‘Revolutions – Spurious and Genuine’ she wrote that the Cuban Revolution, “even though we don’t yet know the outcome” was most certainly a revolution. In ‘Critique of Political Economy, Marx tells us “It is not the consciousness of men that determines their existence, but, on the contrary, their social existence that determines their consciousness”. That said we must agree that Cuba has spectacularly managed to maintain universal repute as an ‘alternative model of development with a ‘society that builds the welfare of its citizens on the twin pillars of health, and education, driven by the principle of equality’. Rafael Rojas one of Cuba’s renowned scholars of Latin American History has described Castro’s encounter at Princeton in his 2016 book Fighting over Fidel – The New York Intellectuals and the Cuban Revolution. Professor Rojas says that Fidel in his remarks in 1959 ‘situated his ideology well within the scope of a democratic American humanism shared by the United States and Latin America. The two regions, despite their cultural specificities, did not constitute “different people,” he assured his audience. He had also assured his American audience that elections would soon be held in Cuba and political parties would also be allowed. However it was first necessary ‘to implement a social transformation in order to eradicate unemployment and illiteracy and to construct schools and hospitals. I am still reading the book that is focused more on left wing intellectuals affected, dejected and influenced by the Cuban revolution. I do not know at what point Fidel decided to turn from emancipator to Marxist Leninist dictator. Our Utopias are often shaped by events beyond our control. Early in the revolution Fidel was taken hostage by the hemispheric hegemony of the United States. In the bleak years of the cold war, he made his choice. After Gorbachev it was too late. The obstinacy of an old man was the lot of the Cuban people. The struggle to understand Fidel Castro has not ended but his relevance has reached the end. In fairness to Fidel Castro it has to be said that his authoritarian governance was not for personal aggrandizement. It was not to enrich himself, his family or his cronies. It was his simplicity that sustained a messianic charisma among his people. Towards the end, he may not have commanded the same admiration. It seems that his state apparatus retrained the same loyalty. 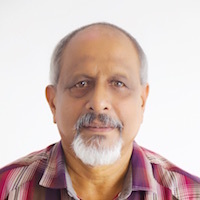 I watched parliamentarian Sunil Handunneththi – Chairman of COPE with an undoubtedly razor sharp mind romanticizing Fidel Castro’s achievements in health care and education for the people of Cuba on a TV program. [Derana 360º]. That triggered alarm bells. 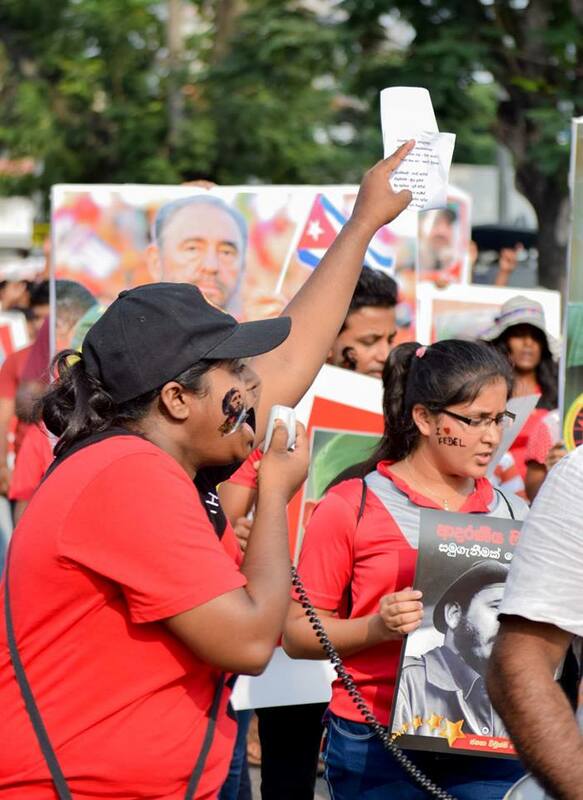 The JVP – the alternative to the establishment needs to discover scientific socialism. Marxism is a science. Fidel Castro is a brand. The two should not be confused. I am completely in agreement with Dr. Dayan Jayatileka on Castro brothers and Rajapaksa brothers. Mahinda and Gotabaya Rajapaksa are the closest we have to Fidel and Raul Castro. I would even go further. Our duo are infinitely better than their Caribbean counterparts. Fidel combined Latin machismo, Catholic dogma and Communist rhetoric with Raul as enforcer of regime discipline. Mahinda combined Sinhala machismo, Buddhist scripture and progressive rhetoric. Gota was master enforcer of regime discipline. Fidel in the sixties, faced the same dilemma faced a decade later by our comrades Colvin and Doric with plantations. Castro opted to collectivize the sugar plantations. What is Fidel Castro’s legacy? Sugar was the sole source of economic sustenance of Cuba when he took over. At the time of his death Sugar remains the only source of economic sustenance of the land he liberated from his dictator predecessor. The Afro Cubans remain time warped and trapped as their ancestors were in the ‘Sugar’ conundrum ‘wounded and shattered like the cane of the fields and like cane are ground and crushed to extract the juice of their labour’ with one difference. They have accesses to a doctor and all can read and write. Cuba still relies on Sugar and hopes to promote tourism. Brother Raul will now make Havana a desirable city for tourists. He should invite Gota in as an expert. Give the devil his due. In 2013, Master Card listed Gota’s Colombo as the world’s 4th fastest growing tourist destination. As Alan Bennett would remind us, the job of the historian is to anticipate our perspective at some point after the event !